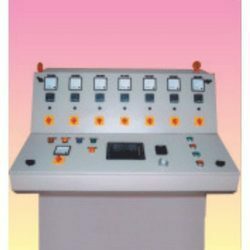 Prominent & Leading Manufacturer from Ahmedabad, we offer system automation and heat treatment furnance control panel. Our organization is involved in offering unmatched System Automation & Control Panels for different industrial processes. Powered with a strong team of technically proficient workers, we also undertake trouble shooting & repairing jobs for Imported Machine Control Panels and Electronic Circuits. We also undertake automation projects right from planning and designing to the testing, installation and commissioning. For total custom temperature control solutions, we also design and manufacture custom control panels for varied applications in different industries including Plastics, Chemicals, Ceramic, Foundry, Heat-treatments, Packaging and other industries. We are instrumental in catering to the variegated requirements of the customers by bringing forth a remarkable range of Heat Treatment Furnance Control Panel. Used for temperature control system, these panels find their applications in manufacturing & engineering services. Control & regulate electric flow so as to provide safety to buildings, these panels are available in different specifications to meet the variegated demands of customers. Suitable for industrial as well as commercial applications, these panels are known for their high performance and user friendly nature. 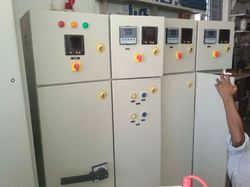 These Heat Treatment Furnance Control Panel are demanded by different industries like electronic, chemical, sugar, pharmaceutical, petrochemicals and automobile to transfer power in the different motors.